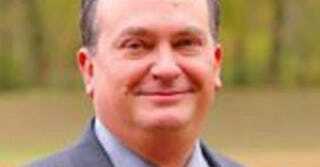 A candidate for District Court judge in Van Buren County, Ark., has withdrawn from the race following scrutiny of text messages he sent in which he called a local county clerk a "hair lipped niger whore," the Arkansas Times reports. The texts, in which the candidate in question, Kent Tester, misspells what is presumably meant to be a racial slur as "niger," apparently refer to Van Buren County Clerk Pam Bradford, who is white, the Times notes. The messages are from a 2014 exchange between Tester and current District Judge Susan Weaver, in which Tester writes, "I hate texting someone sober." Tester then responds to a comment from Weaver about another candidate who eventually lost to Bradford, and Tester responds with, "Can't believe that hair lipped Niger whore is gonna win!" Tester initially attempted to pass the comment off as an "inside joke" between himself and Weaver. On Tuesday morning, however, Tester decided to drop out. "There is no excuse or words to minimize how wrong the text was that was the subject of yesterday's [Blue Hog Report] and how wrong I was for sending it, even if attempting to be sarcastic. For this reason I am withdrawing from the race, will be removing my signs and online presence for the election," he wrote in a Facebook post. Read more at the Arkansas Times.